I am a dreamer and I am so guilty of lying out in the grass wondering what if? I am obsessed with the What If! I am obsessed with Alternate History and Alternate versions, growing up I always loved seeing the evil doppelganger of a hero go up against their most hated foe. These where always the best scenarios, Nemesis Prime, Owlman, Bizzarro, Captain Toxic and Akuma to name a few. There is just something Shakespearean about defeating your dark mirror version, about stamping out what you could have been, I guess I always liked this because in all humans we have the potential for great good and great evil. 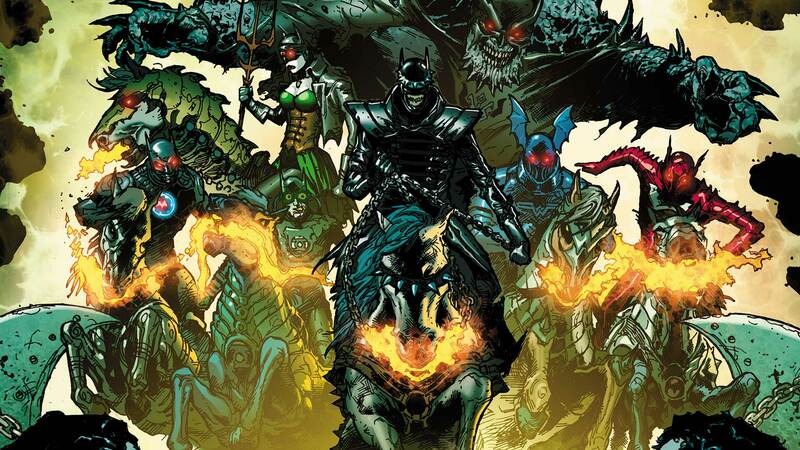 Maybe this is why I loved Dark Nights Metal so much, the series sees earths champions be systematically defeated by a group of Evil Batmen from various alternate realities. Each of these Realities see’s something go horribly wrong in batmen’s life which leads to him crossing the line and never looking back. What makes this evil doppelganger story so unique is that you can almost justify the actions of each villain, after all what makes Batman so great is that is a human taken to the peek levels of mental and physical abilities, but what happens if we cross those lines, what happens if his mind isn’t strong enough, or what happens if his emotional overwhelm him, after all he is but a man among gods. So what happens when the best of us becomes the worst of us? 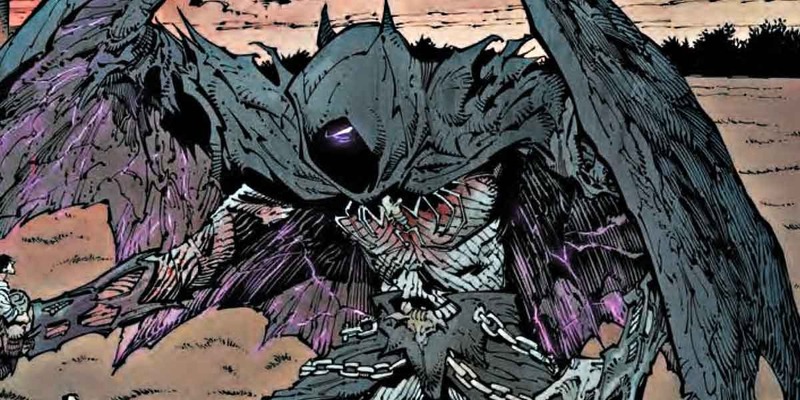 The Red Death – This Batman is one who after loosing enough loved ones decided to take the Speed Force for himself, he did this by killing the Flash’s Rogues Gallery, taking all their weapons, defeating Barry Allen, strapping him to his car and breaking into the speed force, fusing them together. He only did this after Barry refused to travel back in time and save the ones he lost. The Murder Machine- In his reality Alfred was killed and Batman distraught tries to build an A.I. version of Alfred to take his place. Of course being a dark timeline this goes horribly and they merge together into The Murder Machine, a dark twisted cyborg that manages to single handedly take out the watch tower. The Dawnbreaker – In a dark reality where Bruce becomes the Green Lantern of Earth he murders his way through the Gotham underworld before taking on the Green Lantern Corp and wiping out the Guardians, taking the power of the Corp for himself. The Drowned – This is Bryce Wayne and she comes from a timeline where she killed every Metahuman she could find before declaring war on Atlantis. To help fight Atlantis she forcibly mutated herself into a creature of unfathomable power. The Merciless – In a world where Batman was in love with wonder women they came into conflict with Ares, the God Of War, during the battle Batman believed his love was dead, heartbroken he took Ares power for himself and became corrupted by it, to the point that he himself would kill Wonder Women. The Devastator – In a World Where Superman snapped and Batman had to kill him he forcibly turned himself into a new Doomsday, sacrificing his humanity for the greater good, although he accidentally transformed many more into other versions of the monster in the process. 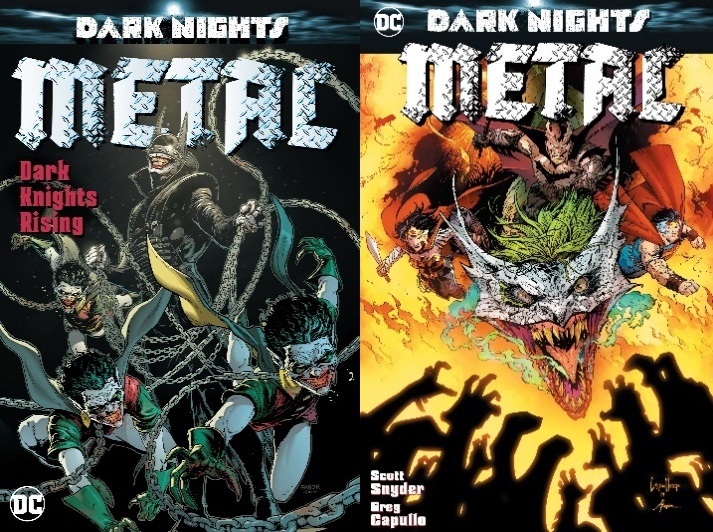 The Batman Who Laughs – This one is just messed up, In his world Batman is turned into another Joker and here single handedly kills the bat family and every hero he can get his hands on, if that was not enough he forcibly turns children into his new insane Robins. This Psychopath acts as the team leader and is the stuff of nightmares. Barbatos is intrinsically tied in with Batman’s history and I really do not want to say to much about him because his backstory is just to good to give away here, but I will tell you that he is practically a God in his universe and the real master mind behind all this madness. I should point out, not all of these characters see themselves as a villain and some feel great remorse for what they have done and that is what makes these characters great, they may be evil but sometimes we do awful things for what we love. For instance the Devastator only became a monster when he was left with no other choice, while one might argue that The Batman Who Laughs is the victim not the villain of his story, evil actions do not belong solely with evil men, sometimes the best of us commit the worst crimes too. Being DC the art is as usual beautiful and vivid if anything this is a perfect reason to pick up the series. Another great reason to pick this up is the mix of old and new, from kicking the series off with The Challengers of The Unknown and later having the newer Green Lanterns appear this series has the perfect mix of old favorites and new heroes. The series is as enticing as it is dark, once you start you will not be able to pull your eyes away from the pages. Of course something I really loved about this story is its deeper meaning, no matter what our transgressions are and no matter how broken we can be, as long as we keep a core group of loved ones around us, we can persevere and be better for it. Yes that is a bit cheesy but its true, now how this applies to the overall arch, well I wont be telling you that, you are just going to have to pick up the good and give it a read. If you are interested in this series then you are in luck as now all the issues have been collected into one glorious book and believe me you will burn through it once you have started.